Bullying is a major problem in our schools, workplaces, homes, and over the Internet. Each year, on Pink Shirt Day, we are all encouraged to wear something pink to symbolize that we will not tolerate bullying anywhere. 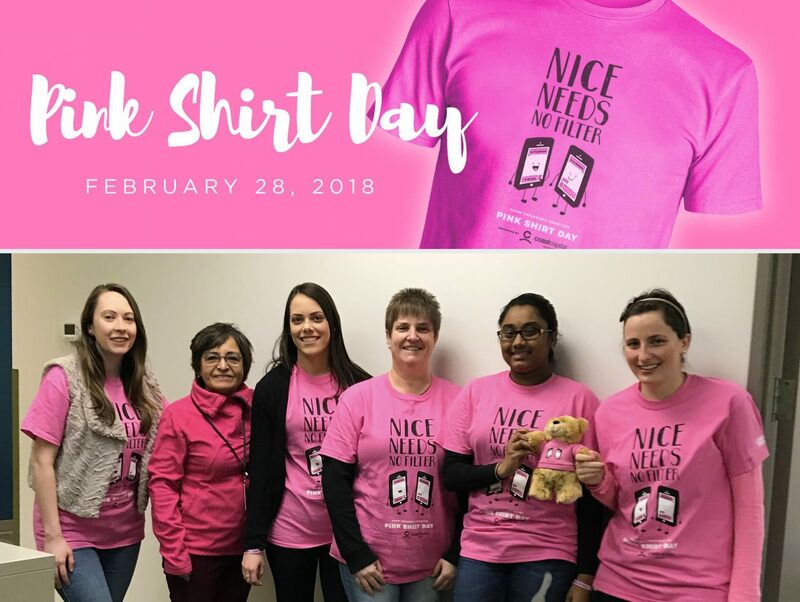 Our incredible BURNCO Accounts Payable team certainly showed their support with these fetching “NICE NEEDS NO FILTER” T-shirts. BURNCO Rock Products Ltd is a fourth generation family business established in Calgary in 1912 by James F. Burns. Today, BURNCO is a 106 year old, fourth generation aggregate construction materials company with over sixty locations in Alberta, British Columbia, Saskatchewan, Colorado and Texas. A family business based in Calgary, BURNCO produces high quality aggregates, paving asphalt and ready mix concrete and also operates a network of retail landscape centres. FOUR STAR ROCK PRODUCTS LTD.